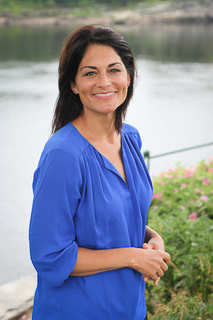 Ellen Domingos was born and raised in Brunswick, Maine. She began performing at the age of eight years old at Maine State Music Theater and went on to earn a BFA in Acting at NYU’s Tisch School of the Arts. She has performed on off-Broadway, in regional theater, touring companies, cruise ships, voice-overs, commercials, television and film and has had the good fortune to work with Broadway veterans, Emmy, Grammy and Tony award winners and nominees. She worked as the Community Outreach Specialist at the National Eating Disorders Association in New York City where she developed an artist initiative that promoted eating disorders awareness and education to the professional artistic community. After many long years traveling and living in NYC, Ellen is extremely grateful to be back in her hometown and is positive there is no better place than Maine to live. She is thrilled to be joining the MSD Group at RE/MAX Riverside, teaming up with veteran broker, Jane Millett, and sales agent, Sarah Singer. They’ve got you covered…Experience, Energy and Integrity and will work together to better serve your real estate needs. Ellen’s goal is to provide each client, with the respect, knowledge and individualized treatment they need to find their perfect home in Vacationland. Contact her today!